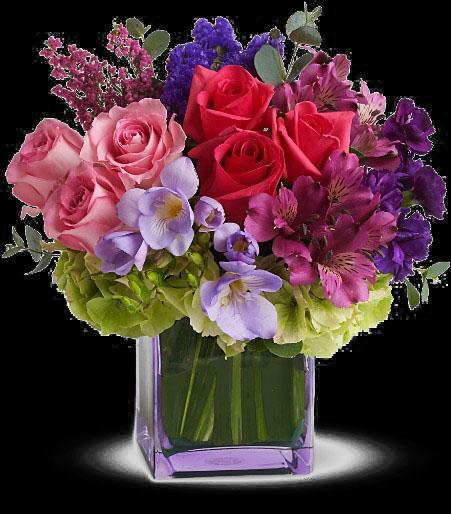 Dazzling green hydrangea, hot pink and light pink roses, purple alstroemeria, mini carnations and statice, lavender freesia, pink heather and eucalyptus arrive in a lavender cube. Exquisitely exciting! Approximately 10 1/2" W x 11 1/2" H.